The powerful features of the Minelab Gold Monster 1000 make it a great nugget detector. The Minelab Gold Monster 1000 is a high-frequency gold detector designed for finding small gold in mineralized ground. It is a gold detector that operates using VLF technology, a standard in the detector industry for decades. Some of the key features indicate that it is likely to be a great nugget detector at a very reasonable price. The metal detector is also designed with a set of coils and rods to enable you to configure and customize it so that it can suit your needs. Made with a removable control box and a set of rods the detector will be easy to store transport and be configured to work in different environments. 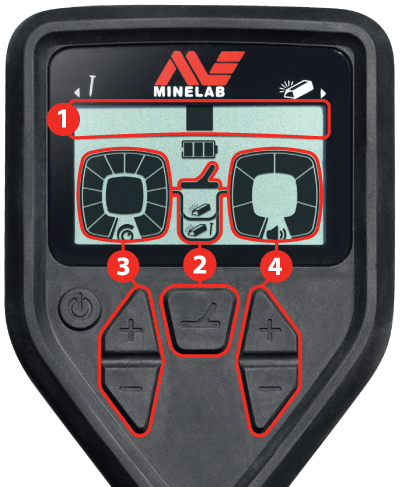 The Minelab Gold Monster 1000 is also advertised as being fully-automatic, indicating that it will have automatic ground balancing and a selection of sensitivity settings. The Gold Monster 1000 is expected to be released later in the year and according to Minelab, the metal detector will have a number of great features that are likely to make it one of the best introductory gold detectors to hit the market in several years. The Minelab Gold Monster 1000 is being marketed for some of the lesser explored areas such as Africa, Asia, and the Middle East. These are generally new users who are interested in simple functionality and durability, although I expect that both novice and experienced prospectors will love this detector. This metal detector has a fully automatic search mode. What this means is that it will have less adjustments than many other gold detectors on the market. In fact, the design of the automatic search is in direct response to African prospectors in a number of countries who feel that too many buttons for customizing your metal detector are a big hindrance when metal detecting. The automatic search mode makes it easy for anyone to use the metal detector. For example, the ground balancing is automatic which eliminates the need for ground balancing button. Sensitivity adjustment and noise canceling are also automatic which makes it easy for use in any condition. The Gold Monster 1000 is adjustable and suitable for all types of difficult terrain. 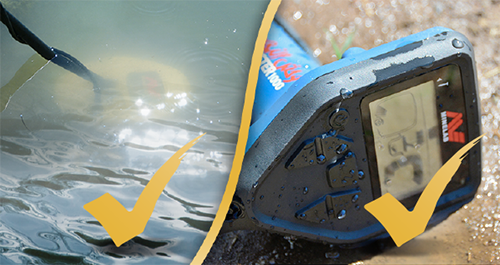 The Gold Monster has waterproof coils for safe detecting of shallow-water gold nuggets. The Minelab Gold Monster 1000 is built to use the super sensitive VLF technology. It operates at 45 kHz, which should be a nice balance between sensitivity to small gold and stability in mineralized ground. Ideally it will be possible to detect even the smallest gold nuggets. Although sensitivity is automatically adjusted depending on the mineralization of where you are detecting, you still can adjust it manually to suit your specific needs. This graph explains how the 45 kHz operating frequency of the Gold Monster 1000 is ideal for typical nugget hunting situations. With changeable rods and coils, the Minelab Gold Monster 1000 can be configured for use in almost any condition. You can adjust the rod for storage and transportation. It can also be configured for use comfortably with both the tallest and the shortest people. If you feel that the standard metal detector that you use is either too long or too short for you then this should be a perfect replacement to your old detector. It can be adjusted to suit any height making it comfortable for almost anyone. The settings are adjustable using a simple push button display. The Minelab Gold Monster is designed specifically for ease of use, with a simple, yet functional display. As a new detector to be released later in the year not much is known about it. However, from the information released by the manufacturer, it is clear that the detector has a number of pros and cons that you should consider before buying it. 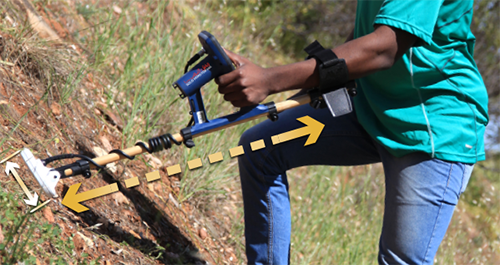 The Minelab Gold Monster 1000 is billed to be a great metal detector for gold prospectors. It is fully automatic which makes it easy for both beginners and experts to use. It also comes with a set of coils, allows for rod configuration and is super sensitive which makes it ideal for anyone. If you love gold prospecting then this is likely to be a very good detector to consider adding to your arsenal. Although the marketing of this detector is likely targeted to African and Middle Eastern customers, there is no doubt that it will work well in the American and Australian goldfields as well.